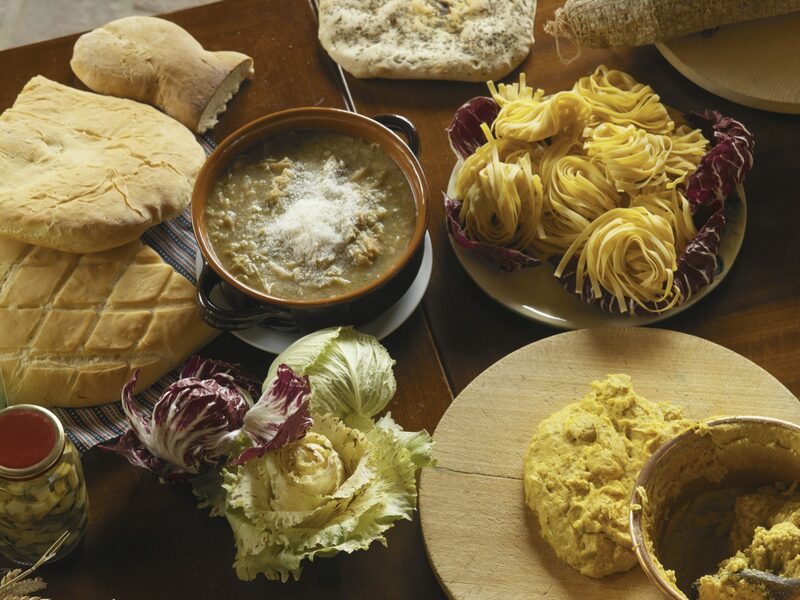 Cappocollo di Calabria DOP is a cold cut made from the top part of the loin of a pig, specifically pigs born and raised in the region Calabria in southern Italy. Capocollo di Calabria DOP is one of the most appreciated and beloved Italian cold cuts , with a taste that is simultaneously delicate and spicy. 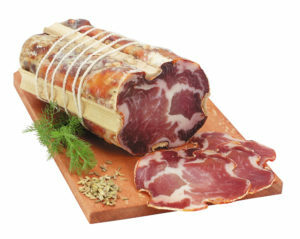 Capocollo is great alone, finely sliced, as an appetizer or a traditional snack, along with a toasted slice of bread.